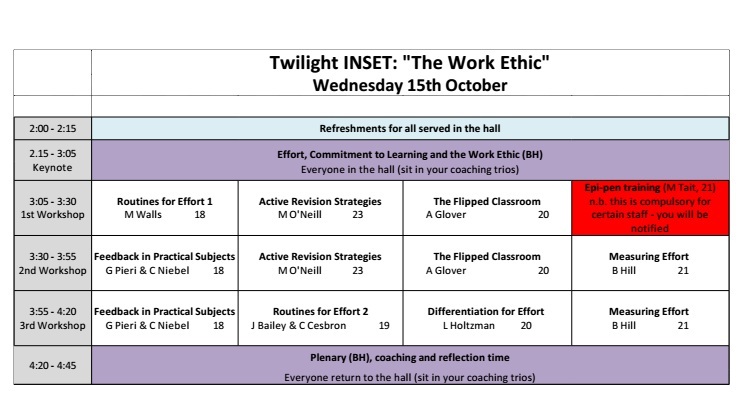 Our first twilight INSET of the year took place last week in support of this term’s whole-Academy focus on developing a strong work ethic. We’ve already been working on the language we all use in lessons, and the twilight was a great opportunity for a variety of colleagues to showcase their excellent practice in this area. 9 staff led short workshops introducing strategies that other colleagues could take away and apply in their own lessons. How do your students know that you value their effort? How do your students know it’s OK to take risks by committing to challenging tasks? When you tell students to “work hard”, how do they know what you mean? At what point are you holding students to account for the work they’ve done? Is it early enough? I drew heavily on the work of Doug Lemov, in particular his Be Seen Looking, No-Opt-Out and Right is Right techniques. I thoroughly recommend Doug’s work to anyone looking to make their everyday classroom routines more efficient in encouraging students’ learning. What follows is a round-up of each individual workshop, complete with links to the resources that were used on the day. Apologies in advance if they don’t make as much sense to someone who wasn’t there, but feel free to contact the colleague directly for further information. Allan (@PEWellacre) introduced colleagues to the idea of flipped lessons, encouraging students to take greater responsibility for their learning, by flipping his own workshop. 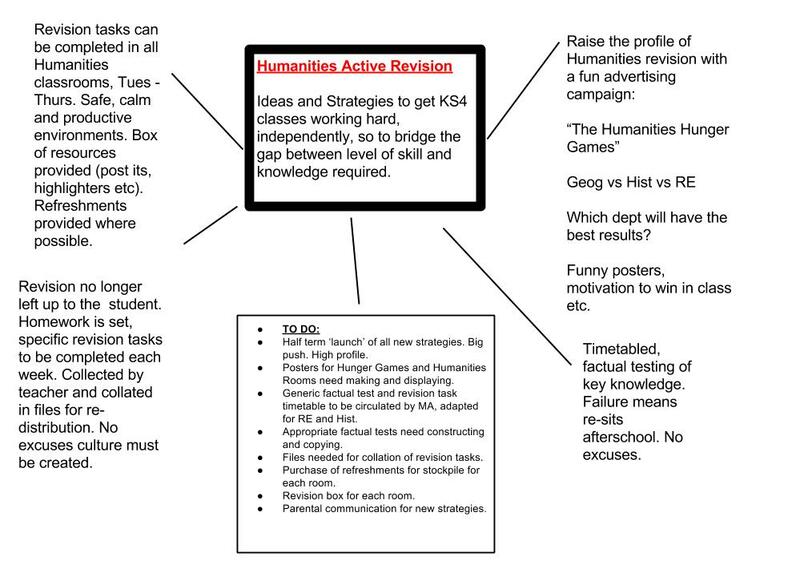 Staff who attended were asked to watch the following clip to prepare, then developed this through discussion of the impact on his own teaching (slides available here). Head of Maths Martin engages his students from the very beginning of his lessons with his ‘Forget Me Not’ questions, and rewards them for their effort level (how many they’ve attempted) rather than their attainment. He did exactly the same in this workshop with colleagues; one teacher was overheard that she’d ‘never worked so hard’ following the 20-minute session! Resources to follow. This was my workshop, all about I’ve been trying to make sure my students know what I mean when I ask them to ‘work harder’, and what happens to them if they don’t! The handout is available here (Measuring Effort), and I’ll be following up with photos of students’ work as a seperate post in the near future. Claire (@WellacreArt) and George are trialling very similar strategies in their respective subjects – Art and Product Design – in order to develop the culture of continuous improvement that we’re striving for across the Academy. Here’s a selection of the resources they shared, and feedback already received from those attending! Jane (@MFLWellacre) and Céline (@CCesbron) have been working on a toolkit of strategies for encouraging their students to develop a strong work ethic. Their presentation is available on Slideshare here. Many of our students don’t make their best effort because they have too many ‘can’t do’ options. English teacher Leor shared some ideas about removing barriers, and presented some strategies for everyday differentiation without lots of extra work – including same source/different questions, differentiation by chunking texts, using carefully chosen sentence starters and Andy Griffith and Mark Burns’ Learning Grids. 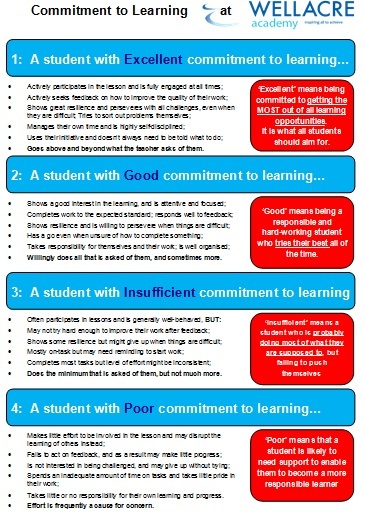 This entry was posted in INSET, Uncategorized and tagged CPD, Effort, Growth mindset, INSET, Twilight, work ethic. Bookmark the permalink. New group? New topic? Step 1: Find out what they know already!